Link to the slideshow here. You looked gud in the black traditional garb u had on....Happy Bday dude!Ur wife is pretty! 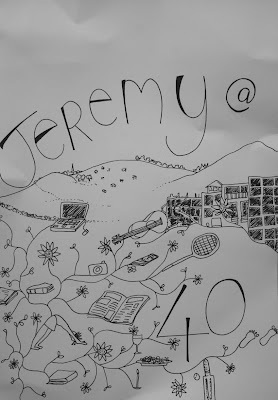 Happy birthday Jeremy. You look very good for fourty. and i thought you were gay, not that there's anything wrong with that.lol! But who is wifey, the one in white? wish you all the very best life has to offer. Oga Jeremy himself, oga pata pata. You too much, i wish a very, VERY happy birthday and may God bless you sir. My goodness...J...are you really 40? You look so young for your age o. Happy b'day.